In March, 1992, we contacted Rhonda Hovan and Laura Kling. We were looking for a male show prospect that could be “specials quality”. They both had an exciting litter due in the near future. We figured by getting a puppy from two different litters that hopefully one of them would make the grade. 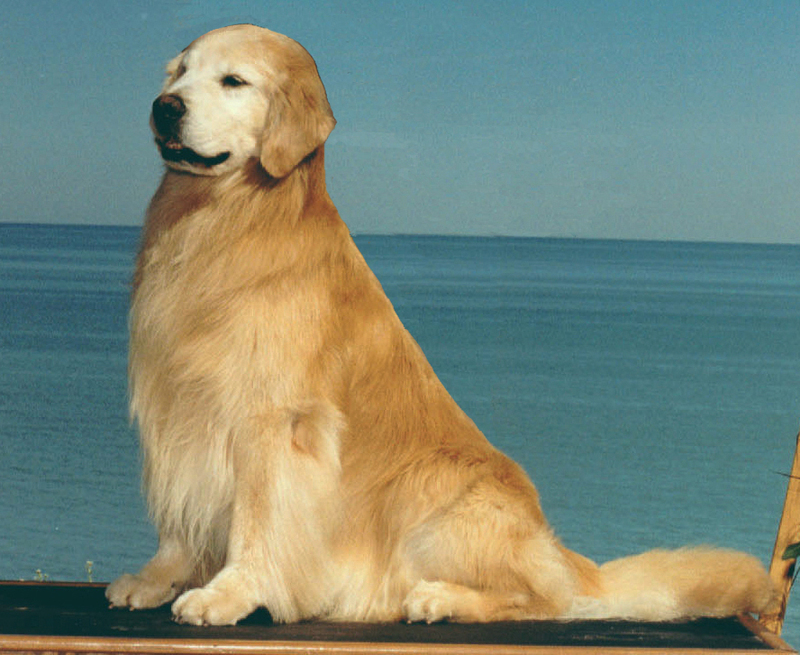 Imagine our delight when both males matured into beautiful show dogs. We started showing Trio first- he was maturing a little more quickly than Gabe. Once we finshed Trio’s championship at 19 months of age, we started Gabe. He finished in 7 weeks. In 1995, we specialed Trio. After 6 months, he earned the GRCA Show Dog Hall of Fame award. Boy were we proud! Trio ended up Top 10 that year. He even was on ESPN and we missed it! In 1996, we specialed Gabe. We had so much fun showing him ourselves for most of the year. Gabe also finished in the Top 10 in 1996. Sure, both boys have been tremendous show dogs, but that is just part of their legacy. Both boys were bred to some beautiful girls and they both became GRCA Outstanding Sires. 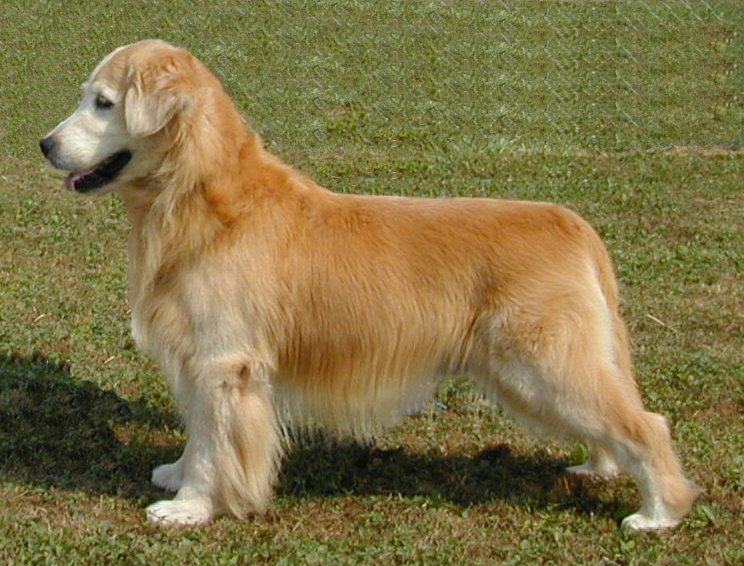 Gabe and Trio were two different types of Goldens. Trio was the dashing, handsome boy that commanded attention when he was in the show ring. Gabe was a little more “blue collar”. Always the “man’s man”, he won on his athleticism and his true love of being in the ring. Bruce was owned by Gabe and Trio called Ruth his. Both boys truly loved each other. They were best friends. We would often see Gabe and Trio wrestling on the floor in the kennel. Or find them curled up with each other in a run. It was so neat to see these two boys together. When we lost Gabe suddenly in 2003, Trio went into a funk for several weeks. He kept looking for his buddy. In October, 2005, we found out that Trio, at 13 years of age, had cancer. We made sure that he was the focus of our attention for the time he had left. Sadly, we lost Trio December 16. Will the pain ever go away from their passing? We hope not. But we find solace in the fact that Trio and Gabe, as best friends should be, are together again.